It's no secret that the world has a staggering waste problem. And while companies, governments and NGOs are developing waste-diversion solutions for everything from electronics to textiles, this work is done largely out of view. And although art and sculpture can't capture enough waste to change the world, its irrefutable role as a thought-provoker is far more than the sum of its parts. With that in mind, this week we tip our hats to artists who set out to make a statement with their work and inspire a brighter future. Trust us, you'll be sharing these on social all weekend. 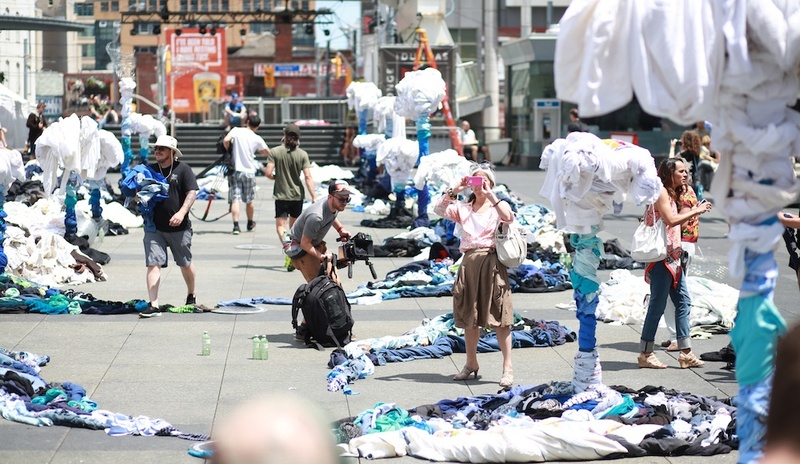 Last month Savers, also known in Canada and parts of the U.S. as Value Village, took to Toronto to bring attention to the environmental impact of clothing waste. The Give A Sh!rt installation debuted on June 22 in Yonge-Dundas Square, often called the "Times Square of Canada." The Savers team replaced 20 water fountains with “fountains” of clothing for a powerful visual display. They also handed out reused T-shirts to encourage consumers to #GiveAShirt and commit to make their next T-shirt a reused one. Throughout the day, the team engaged with tens of thousands of visitors to drive social conversation. The experiential event "successfully increased awareness around the environmental impact of the clothing industry and inspired the Toronto community to #GiveaShirt about their clothing footprint," Savers said. In 2014, Houston artist and sculptor Patrick Renner transformed hundreds of pieces of recycled wood into this hypnotizing work he dubbed the Funnel Tunnel. The piece became a staple in Houston's Montrose neighborhood before its steel frame was dismantled and moved to New Orleans last summer. The colorful, reclaimed wood pieces were made available for fans of the installation, the Houston Chronicle reported last year. And hundreds showed up to claim their Funnel mementos. The nearly 180-foot sculpture was trimmed down to 155 feet and now stands at the corner of Poydras St. and S. Claiborne Ave. in New Orleans, reports the Times-Picayune. Alejandro Aravena, curator of the 2016 Architecture Biennale in Venice, is no stranger to large-scale art. And for the entrance to one of the main event halls, the Chilean architect took on an upcycled twist. His massive installation in the introductory hall of the Arsenale building is made from 90 tons of waste generated at last year's Art Biennale, reports architecture magazine Dezeen. Aravena and his team at Elemental incorporated nearly a mile of recycled scrap metal and over 100,000 square feet of paperboard into the work, reports ArchDaily. "There are several battles that need to be won and several frontiers that need to be expanded in order to improve the quality of the built environment and consequently people’s quality of life," Aravena said in a statement after being named curator of the Biennale. 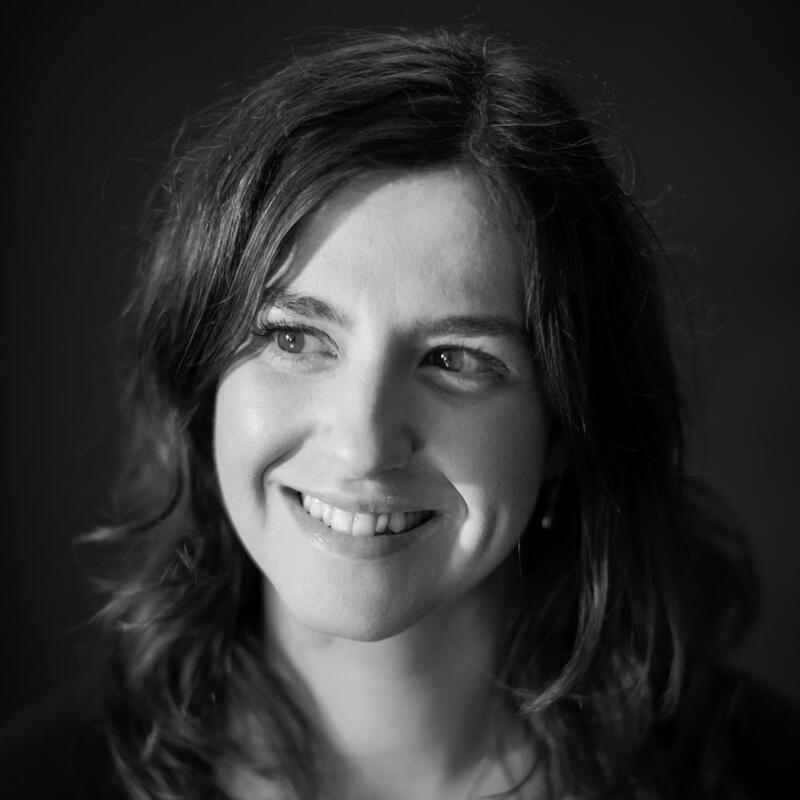 "We would like to show that ... there is not only need but also room for action." This installation, along with hundreds of other architecture exhibits, will be on display in Venice until Nov. 27. Japanese performance and installation artist Chiharu Shiota works in found materials often. This piece, displayed at the Arthur M. Sackler Gallery in Washington, D.C., is made from shoes and notes Shiota collected from city streets. Fittingly entitled "Perspectives," the work ran for nearly a year before it wrapped last June. Shiota, who lives and works in Berlin, is now hosting five solo shows across Europe. Sculptor Orly Genger specializes in using repurposed nautical rope to transform public spaces into intricate and gargantuan works of art. And her 2013 exhibition in New York City's Madison Square Park was the knit heard round the world. Made up of 1.4 million feet of repurposed rope, the installation weighed a staggering 100,000 pounds, Urbanist reported. The red-, yellow- and blue- colored rope, which Genger treated with paint, wound its way through the park in what quickly became a favorite for Manhattanites and tourists alike. The exhibition wrapped in the summer of 2013. But you can catch a similar public sculpture from Genger at the Waller Creek Conservancy in Austin, Texas, until February. On June 6, University of the Aegean in Mitilini, Greece, opened its poignant exhibition "The Global Chess Board" to celebrate World Environment Day. Over the past year, the region has seen one of the greatest migrations in human history. "The personal drama encapsulated in each individual arriving has unfolded on the beaches across the islands of the Aegean Archipelago and left behind, bearing silent witness to lives changed forever, are their lifejackets," the university said in a statement announcing the installation. The two basic materials used in the installation are recycled -- waste paper from university students and used refugee life jackets sourced from the Municipality of Lesvos. The two highly symbolic materials join to create an interactive installation meant to catalyze the fight against waste and inspire greater support for refugee communities. Each year, a group of engineering and architecture organizations host a design challenge for the chance to create an interactive pavilion on New York's famous Governors Island. And last year, the City of Dreams Pavilion was made almost entirely from recycled materials. Created by designers at Izaskun Chinchilla Architects of Madrid and London, the work is made of found waste materials like umbrellas, bike parts and household items, Urbanist reported. This summer, the island plays host to a treehouse made from eco-friendly wood. This permanent, three-part art fixture in downtown Brisbane, Australia, is intended to bring organic elements to a highly-trafficked commercial plaza. Made from recycled western Australian jarrah wood and steel, the pieces are meant to look like they're 'falling' through the openings between the tall buildings above. You can see the works from Australian sculptor Stuart Green around the plaza at 275 George St. in Brisbane. This symbol of monumental reuse is sure to delight both the young and young-at-heart. 24-year-old sculptor Danilo Baletic of Montenegro gained notoriety for his massive renditions of his childhood comic book heroes. His "Transformers" sculptures -- made entirely from bulk scrap metal pieces like car parts -- have made their way through Montenegro, including its capital city of Podgorica, as well as the Serbian capital of Belgrade and Maribor in Slovenia's wine country. Nari Ward makes sculptural installations from materials he collects in his own neighborhoods. It begin in his original hometown in Jamaica and continued in various neighborhoods in New Jersey and New York. He now does most of his streetside collecting in Harlem, where he has lived since 1983. His latest installation is Smart Tree on the Highline, an elevated park on retired railway tracks that's fast becoming a Lower Manhattan fixture. The sculpture, shaped like a smart car, stands up on cement blocks and is surrounded by used tires and other waste materials. An apple tree grows from its roof to symbolize rebirth and communion with nature. The work will be on display on the Highline until March of next year.